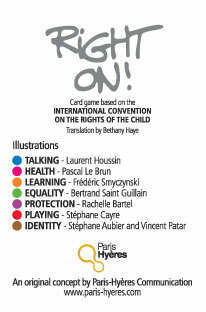 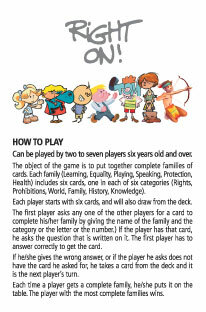 The front of the Convention card explains the contentions of the ICCR (International Convention for Children's Rights). 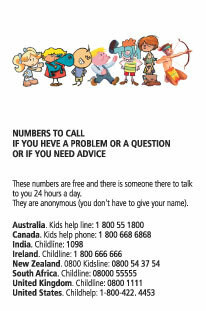 The back of the Convention card introduces telephone numbers children may call. 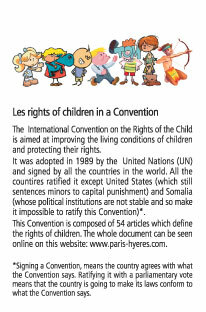 Please send me a copy of my comment by e-mail.